Frodsham Methodist Church is proud to be a Fairtrade Church and so we try to use only fairly traded products in our Church. The tea and coffee served after our Services and at Church events is always fairly traded and we encourage all groups that use our premises to also use fairly traded goods. We have a Traidcraft stall selling a large selection of fairly traded items from tea bags to jewellery and rice to kitchen roll. Our stall also sells fairly traded advent calendars, gifts, cards and other items every Sunday in November and December and at all special events and activities, for example the Christmas Tree Festival, throughout the year. A number of our members also volunteer elsewhere selling fairly traded goods and our fair trade co-ordinator is also World Church & Public Life Secretary for the Delamere Forest Methodist Circuit, to which our Church belongs. To find out more about about fair trade at our Church, speak to Mrs. Elizabeth Holmes or e-mail enquiries@frodshammethodist.org. The Traidcraft Christmas catalogue is now available. Copies can be picked up at Church, and orders returned to Mrs. Elizabeth Holmes. As we have discovered in previous years, popular gift items can sell out early, so you are advised to get your orders in as soon as possible. Sample Christmas cards will be on show in the Hall, and cards will be on sale both after the 0930live! and 10.45am services, and from the ecumenical Bookstall at Main Street Community Church on Thursday mornings. I will try and put the stall out at church every week during the autumn. I would be pleased to hear from anyone who would be willing to put it out on any weekend when I’m away. We are all used to seeing fair trade goods in the shops now – so why buy from Traidcraft? Well, even though the foods themselves are fairly traded, the supermarkets still make a profit for themselves. But Traidcraft ploughs the profits back into helping the communities who grow the food or make the products. The little bit extra that you pay, the ‘fair trade premium’, goes into development projects to enable producers to be more efficient and productive, or into helping to provide schools and medical facilities. And the campaigns which Traidcraft fronts have often led to real changes in international trading practices.  that Traidcraft launched the first fair trade crafts in 1979?  that in 1991 Traidcraft helped to set up Café-Direct?  that Traidcraft co-founded the Fairtrade Foundation in 1992?  that 2001 saw the first Fairtrade wine from Traidcraft?  that in 2006, Fairtrade cotton, charcoal and rubber products were added to the range?  that in 2014 Traidcraft launched the first Fairtrade palm oil, and a range of cleaning products? 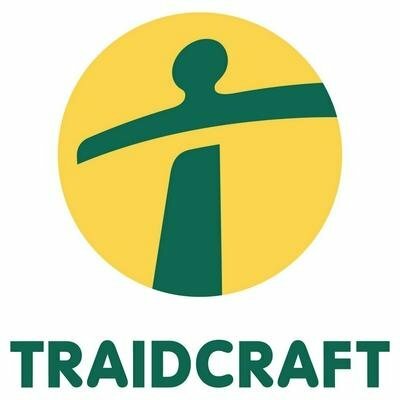 Traidcraft continues to be a leader in the field of fair trade. Coming soon is a range of Fairtrade wax products, and from Myanmar (formerly Burma), Fairtrade rice. When did you last look at the church Traidcraft stall to see what is on offer? Now is the time: as well as a range of food and cleaning products, Christmas cards are also on sale (these benefit Christian Aid as well). The Autumn/Christmas catalogue is also available, with a wide selection of clothes, jewellery, household items and toys. But be warned – many items sell out quickly! So if you want to place an order, please take a catalogue, and return it along with the order form to Elizabeth Holmes as soon as possible. Why not show you care by making it a Fairtrade Christmas? For more information, the The Fairtrade Foundation, Traidcraft and Christian Aid websites are good places to start.